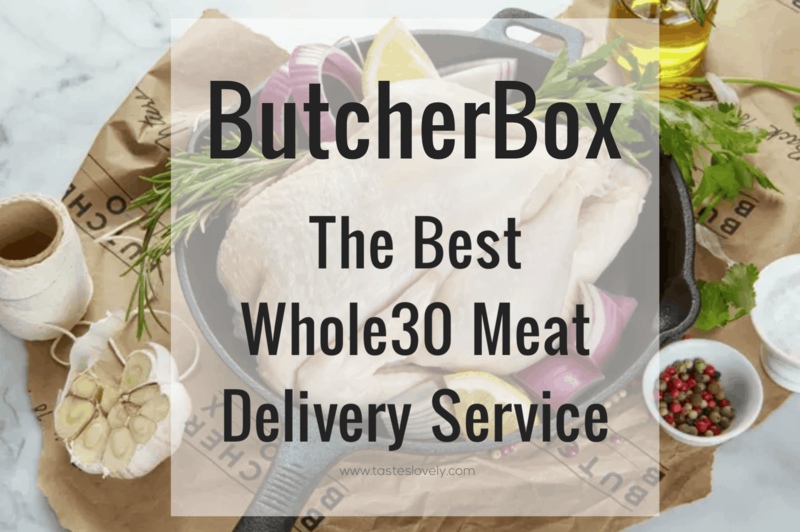 ButcherBox – The Best Whole30 Meat Delivery Service. 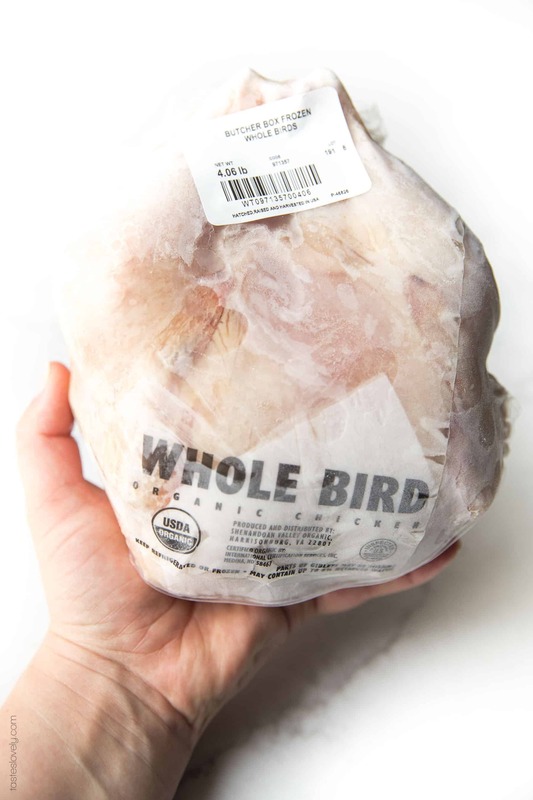 My honest review, and why it’s the best source for high quality, hormone and antibiotic free beef, chicken and pork that is Paleo + Whole30 approved. All of April, Butcherbox is offering free Breakfast Bundle! New customers who sign up will receive 2lbs of Pork Breakfast Sausage and 2 packs of Bacon for FREE! Keep reading below to learn why I love ButcherBox so much. 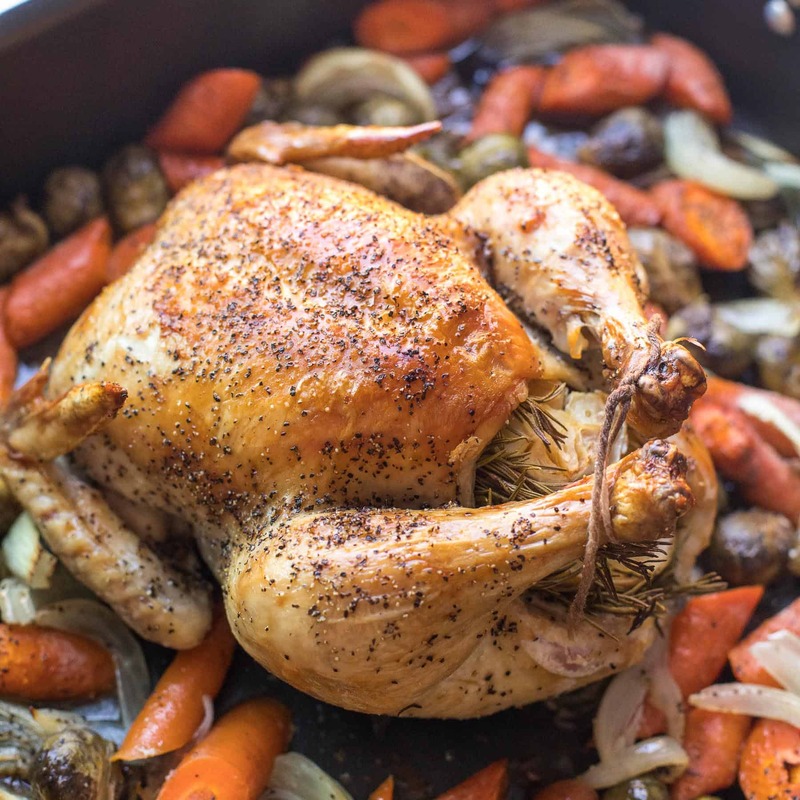 I have been using ButcherBox for months now, and I will never go back to store bought meat. I am obsessed! I had to share it with all of you. Not only is this the best tasting beef, chicken and pork I’ve ever had, it is from animals that have been humanely and sustainably raised, never given hormones or antibiotics, and is conveniently delivered right to your front door. 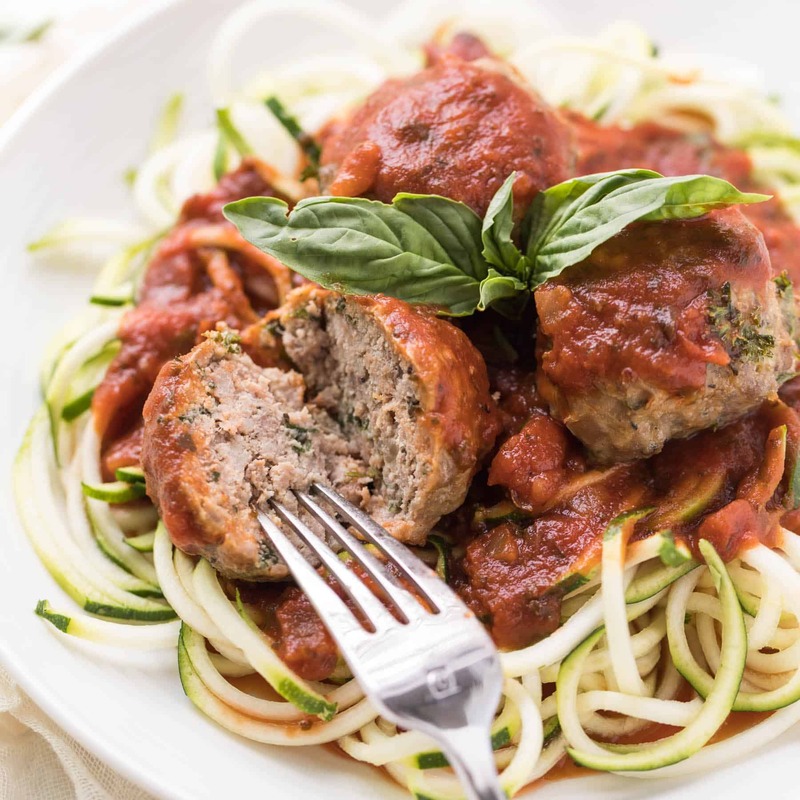 All their meat is Whole30 approved, officially endorsed by Melissa Hartwig (the founder of Whole30) and perfect for paleo and clean eating diets! 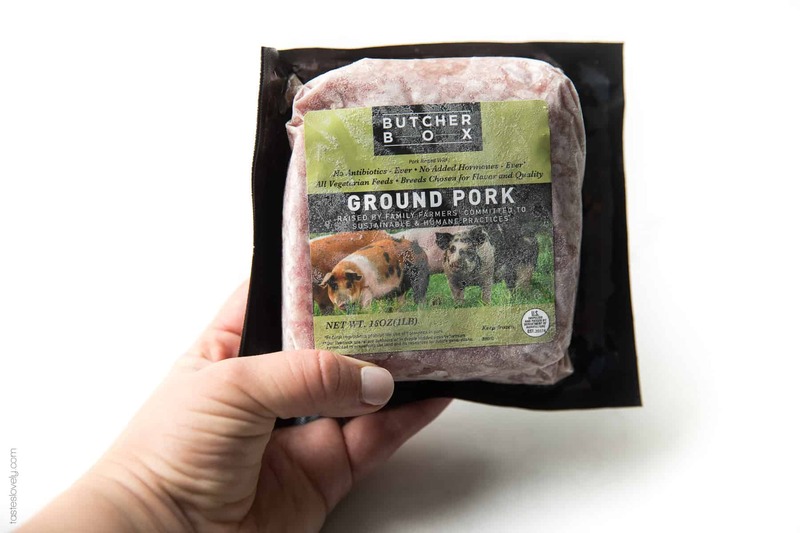 In this post I’m explaining who ButcherBox is and why I love their company, along with the top 3 reasons why I love their meat (quality meat, superior taste, convenience). 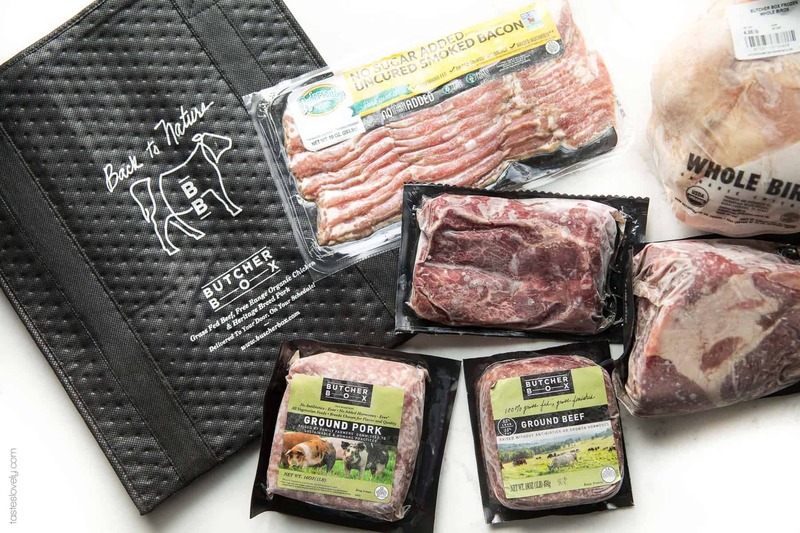 I look forward to my ButcherBox delivery each month, and I know you will too! Disclosure: this is not a sponsored post, but I am an affiliate of ButcherBox and will make a commission if you choose to sign up for their service. I only promote products I love and I know you will too! There is no additional cost to you, and in fact, you’ll save money and get a few freebies when you sign up from any of my ButcherBox links. ButcherBox is a monthly meat delivery service, where the highest quality meat is delivered straight to your door. They deliver 100% grass-fed and grass-finished beef, free range organic chicken, and heritage breed pork for less than $6.00 per meal. It is a subscription service, but you can change the frequency to suit your needs and can cancel at any time with no penalty. The main reason I love ButcherBox is their commitment to quality meat from animals that are ethically raised. I feel great feeding myself and my family meat from animals that lived a great life and got to live as nature intended. All their beef is from cows that are 100% grass-fed and grass-finished. The cows are never given antibiotics or hormones, and are raised to live their entire life on pasture. The chicken is also pasture raised free range and organic. All of the chicken is Certified Humane, which means the chickens have access to the outdoors, shelter and fed a natural diet. The pork is heritage breed. The pigs are never given antibiotics or hormones. The pigs are raised pastured, or with standards that meet being raised in open barns with bedding. 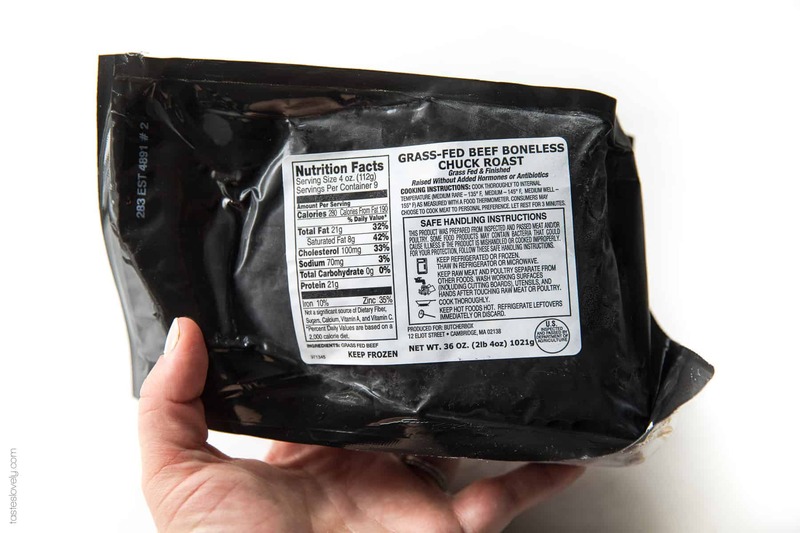 Grass-fed is very different from grass-finished. You think you are making the right choice by buying meat at the store that is labeled “grass-fed”. But the term grass-fed doesn’t mean the cow was fed a 100% grass diet. The grass-fed meat in the store means the cows were started on a grass-fed diet, and then fed grains for the remainder of their lives in a feed lot. Store bought beef should be labeled grass-fed, grain-finished beef. 97% of all beef sold in stores in the USA is from cows that were sent to a feed lot and fed a grain diet. What the animal eats translates to what is in their meat. Wouldn’t you rather consume meat from animals that ate a natural diet and are hormone free? ButcherBox only provides meat from cows that have eaten a grass diet the entirety of their life. This leads to leaner beef that is higher in antioxidants, omega-3’s, CLA (which fights cancer), trace minerals and vitamins, and ultimately the most nutrient dense beef you can buy. Grass-finished meat has a much lower risk of food poisoning, and results in less antibiotic-resistant bacteria in our bodies compared to conventional meat. Best of all? Grass-finished meat is so much better for the environment. Research shows that animals that are able to live a natural, grass-finished life actually BENEFITS the environment and reduce the carbon footprint. All of these measures align perfectly with the Whole30 diet, and shifting the focus on real, high quality food. 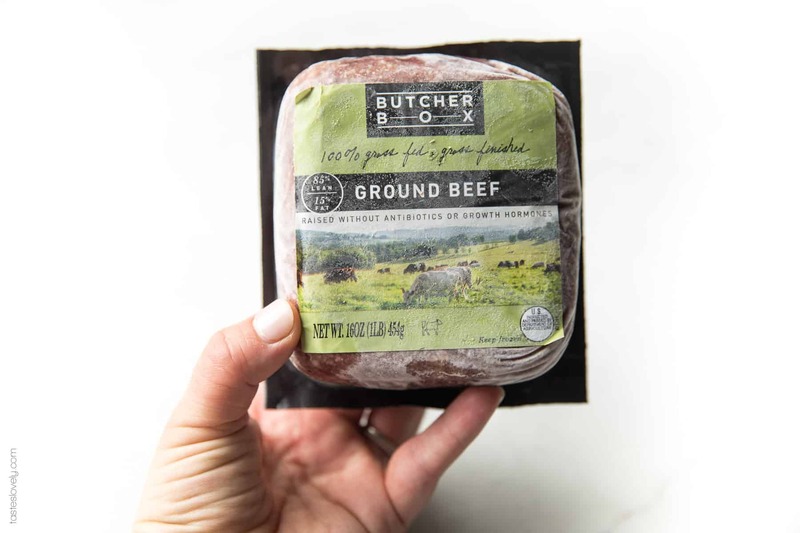 Not only does ButcherBox have the highest quality meat that is raised humanely and naturally, but it is the most DELICIOUS tasting beef, chicken and pork I’ve ever had! The chicken tastes so much more like chicken. The beef is bursting with umami flavor. The pork is juicy and savory. You’ve never tasted meat so good. This is all thanks to how the animal is raised, and the natural diet they consume during the entirety of their life. This is how meat is supposed to taste. I have 2 little kids. Anything that can save me time, I’m all for it. What’s better than having ButcherBox ship the meat straight to my front door, for free? Now I only have to shop for my produce and pantry staples. So much easier. More time to enjoy life and spend time with my family. Plus, much faster grocery store trips every week. 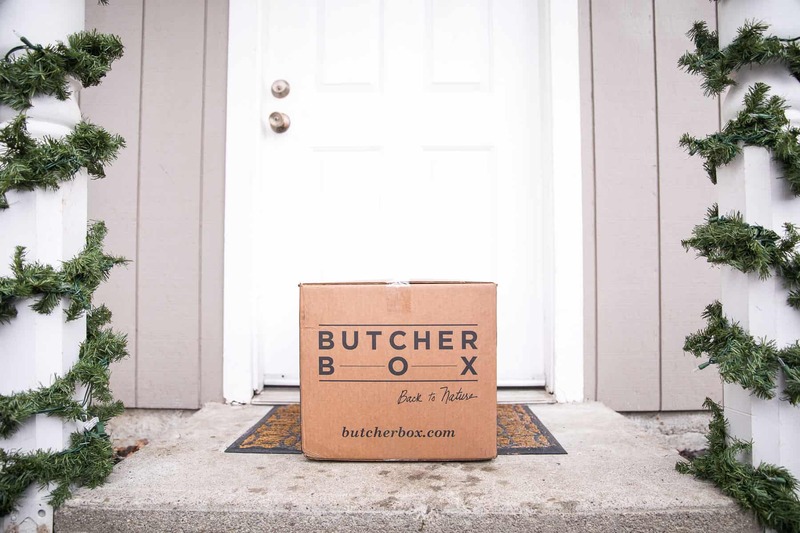 When you sign up for ButcherBox, you’ll choose your box. There are 2 options: Curated Boxes or Custom Boxes. Curated Boxes are a mix of different meats and cuts. This is a great option if you like being surprised, and looking to try new meats you may not have cooked before. ButcherBox includes a helpful recipe booklet in your order with recipes that are best for the cuts you receive. Custom Boxes you get to choose the meats that go inside. This is a great option if you know the types of meat your family enjoys, and want to have full control over your delivery. I personally do the Custom Box. I do a lot of whole chickens that I then cut up myself to cook the breasts, thighs, drumsticks and wings as needed. I save all the bones to make bone broth. It is the best bang for my buck since I am utilizing the entire bird. Along with whole chickens I get ground beef, ground pork, bacon (that is sugar free and Whole30 approved! ), and usually 1 beef steak or roast and 1 pork loin or roast. Once you set up your order, it ships out in an insulated eco-friendly box, frozen and packaged with care. All of the packaging materials are biodegradable or recyclable. The meat arrives completely frozen, and packed with dry ice. It is packed in a way to stay frozen with the shipping time and up to 8 hours at your front door. Your order will ship recur and ship out monthly. You are able to make changes to your box at any time if you want to make adjustments to the meats you are receiving. Hopefully by now I’ve shown you that ButcherBox is the only way to go when it comes meat. Store bought simply will not do! Offer #1: For the month of April, Butcherbox is offering a free Breakfast Bundle! New customers who sign up will receive 2lbs of Pork Breakfast Sausage and 2 packs of Bacon for FREE! 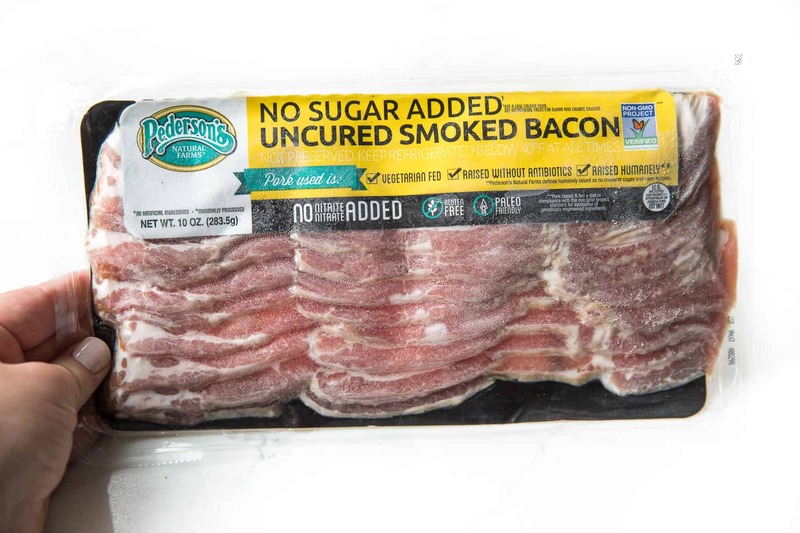 Offer #2: You can also choose to get $20 off your first box and a free pack of bacon! Click here to claim Offer #2 to get a FREE pack of bacon and $20 off your first box. 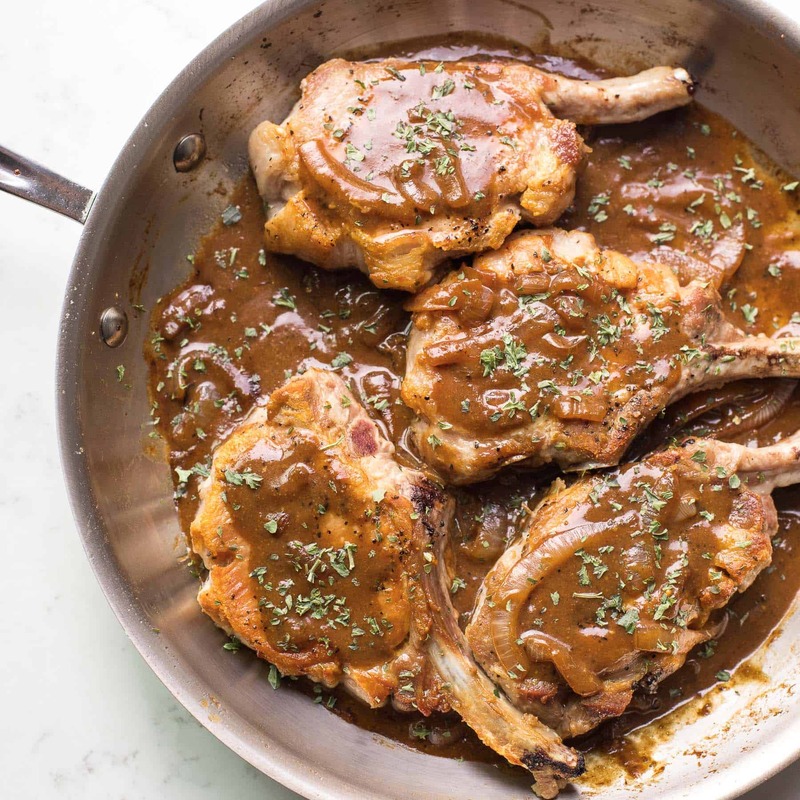 You’re going to have so much fun cooking up your delicious meat, and are going to be blown away by the flavor! Plus, feel great about choosing meat that is raised well, hormone and antibiotic free, and better for the environment. I am fortunate we live in an area where farmers sell their products directly to consumers. We have been buying our beef directly from a local farm for almost 30 years. Pork producers and finally a chicken producer all sell locally as well through their own websites and local farmers market. At our local farmers market we also have en elk farmer from the area…and you are correct store bought meat tastes nothing like farm to table. How lucky! I wish we had an organic, pasture farmer close by we could source meat from!